MINNEAPOLIS (June 1, 2017) – After a competitive national search, Almond Board of California has selected Padilla, with its FoodMinds division, to lead its industry communications program. 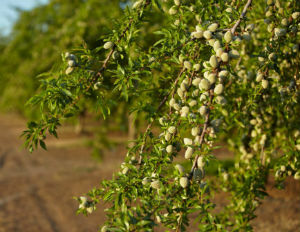 California almond growers produce 80 percent of the world’s almond supply. The Almond Board’s industry communications program is aimed at reaching the farmers, processors and allied industry members who help meet the significant and growing global demand for almonds. Key initiatives are focused on advancing production and processing practices for continuous improvement in the industry. The Almond Board has worked with FoodMinds – an award-winning food and nutrition communications and consulting company that is part of the Food + Beverage division of Padilla – for several years. Work will be co-led by Tina Charpentier, senior vice president with the Environmental Sciences practice in Minneapolis, and Laura Cubillos, FoodMinds founder and executive vice president with the Food + Beverage practice in San Francisco. Lynn Casey, Padilla’s CEO, said that food, beverage and nutrition continue to be strong growth areas for the agency, both with commodity boards, such as the Almond Board, and with consumer packaged goods. “Our team seamlessly brings together environmental science and regulatory experience, food and nutrition expertise, creative and digital prowess, research and strategic insights,” said Cubillos, who leads the agency’s San Francisco office. The combined roster of food clients at Padilla and FoodMinds includes the Alliance for Potato Research and Education (APRE), Hass Avocado Board, the Federation of Quebec Maple Syrup Producers, Land O’Lakes, Nestlé, Prosciutto di Parma, U.S. Highbush Blueberry Council, Welch’s and many others. Padilla is a top 10 independent public relations and communications company comprised of 240 employee-owners. Padilla builds, grows and protects brands worldwide by creating purposeful connections with the people who matter most through public relations, advertising, digital and social marketing, investor relations and brand strategy. Padilla includes the brand consultancy of Joe Smith, the food and nutrition experts at FoodMinds and the research authorities at SMS. Clients include 3M, Barnes & Noble Education, Bayer, Blue Cross and Blue Shield of Minnesota, GE, Hass Avocado Board, Land O’Lakes, Mayo Clinic, Prosciutto di Parma, Rockwell Automation, U.S. Highbush Blueberry Council, the Virginia Lottery and Welch’s. Padilla is a founding member of The WorldCom Public Relations Group, a partnership of 143 independently owned partner offices in 115 cities on six continents. Make a connection at PadillaCo.com.